In a study that compares the major attempts at genocide in world history, the author creates a framework that links genocide to revolution and war. He focuses on the plights of Jews after the fall of Imperial Germany and of Armenians after the fall of the Ottoman, as well as attempted genocides in the Soviet Union and Cambodia. 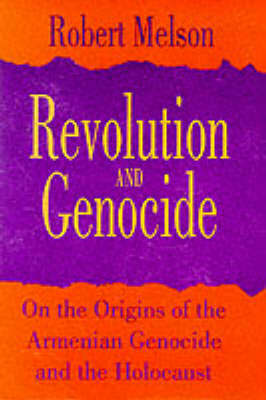 Melson argues that genocide often is the end result of a complex process that starts when revolutionaries smash an old regime and, in its wake, try to construct a society that is pure according to ideological standards.